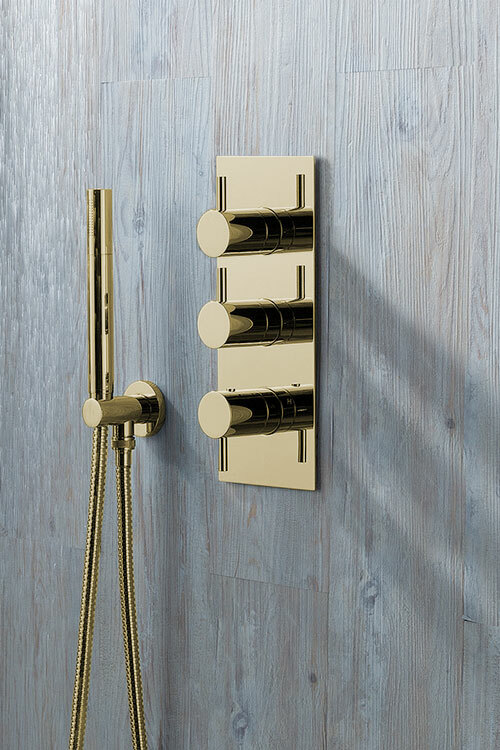 This gold plated shower valve is lovely European quality with a solid brass body. 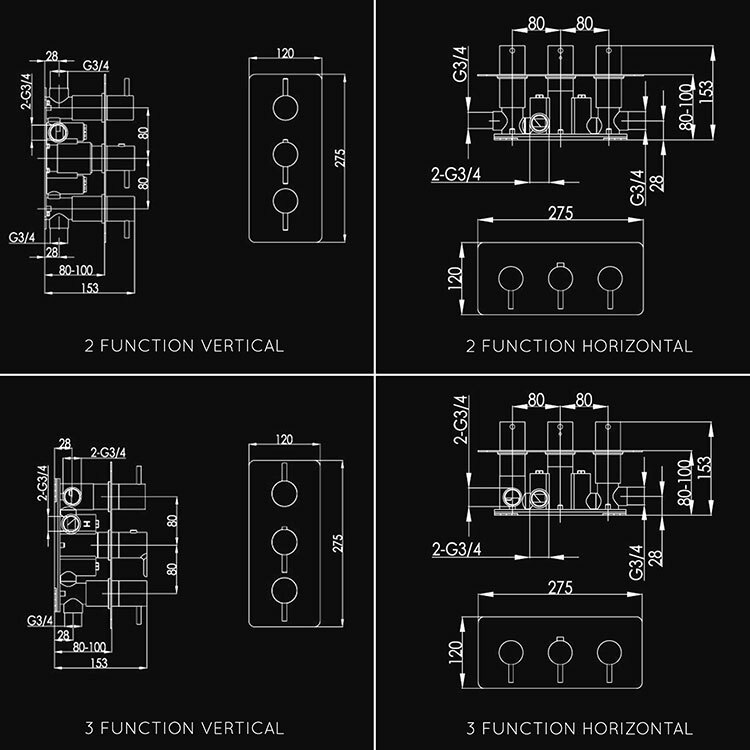 The shower control is thermostatic and is supplied as a multi-function valve with a choice of 2 or 3 showering functions. * Simultaneous functions min. 2 bar. 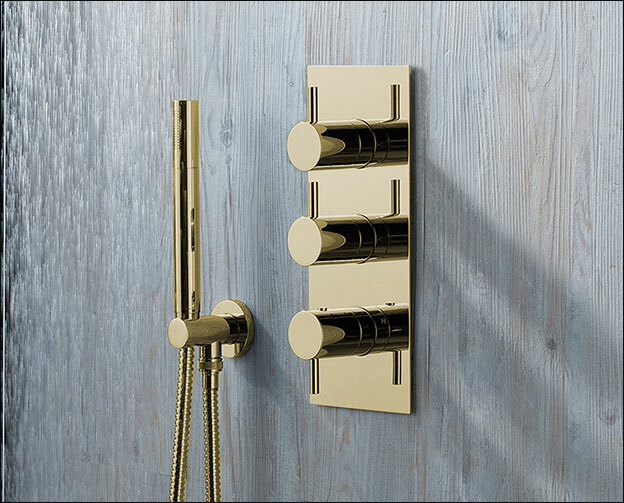 * Brass & chrome back plate.